A very sophisticated and modern illusion Jewel neckline sweetheart wedding dress. Stretch lining allows this gown to fit and flare against the silhouette with added Power Mesh for a body-sculpting, comfortable fit at the hip. 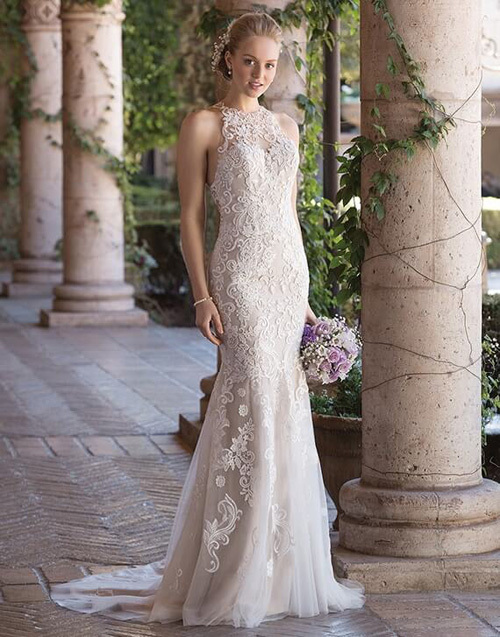 Venice lace accents cover the gown complete with a lace illusion racer back.